Yes, I would buy these chair pads again. 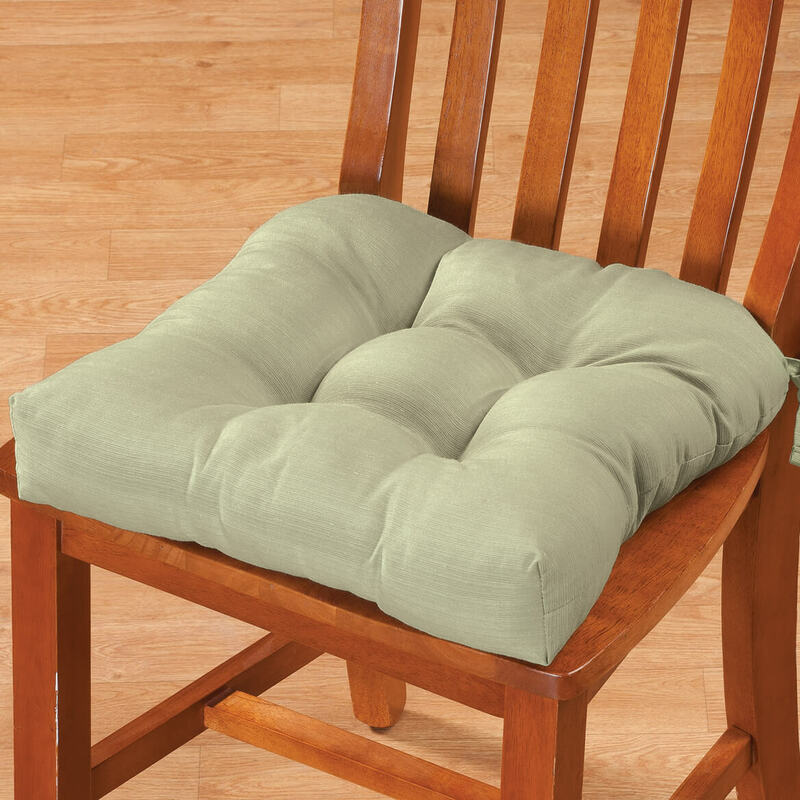 These chair pads have made two uncomfortable wood chairs very nice to sit on. The ties keep them firmly in place. My cats also decided they are perfect places to take a nap. Absolutely love my Sophia chair pads. Just love my chair pads. Love that they have the ties to keep them in place. The material is so durable, and they are so comfortable. This chair pad is made very well and fits my chair perfectly. Very soft all over. The fabric is rather silky which I never expected. 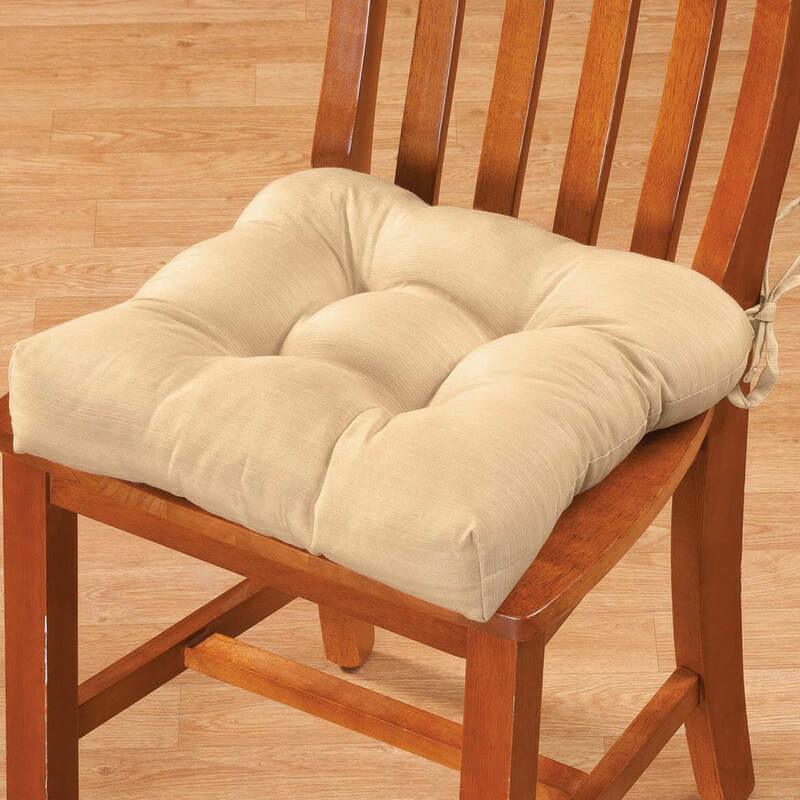 While it does have chair ties, it stays on the chair quite well. There is a price break if ordering 2 or more. Hopefully to like the cushions. Walter Drake has good products and meet my needs. Wanted to try a more firm chair pad. Price was right and i like the colors available and style. their size and the tie downs. 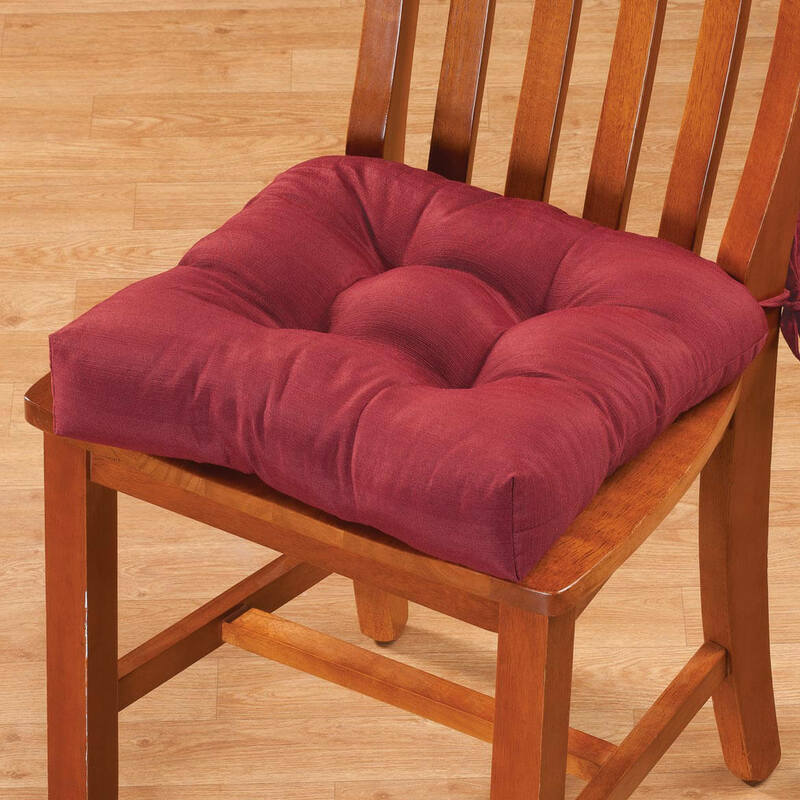 how thick is the sophia kitchen chair cushion and where are they made ? 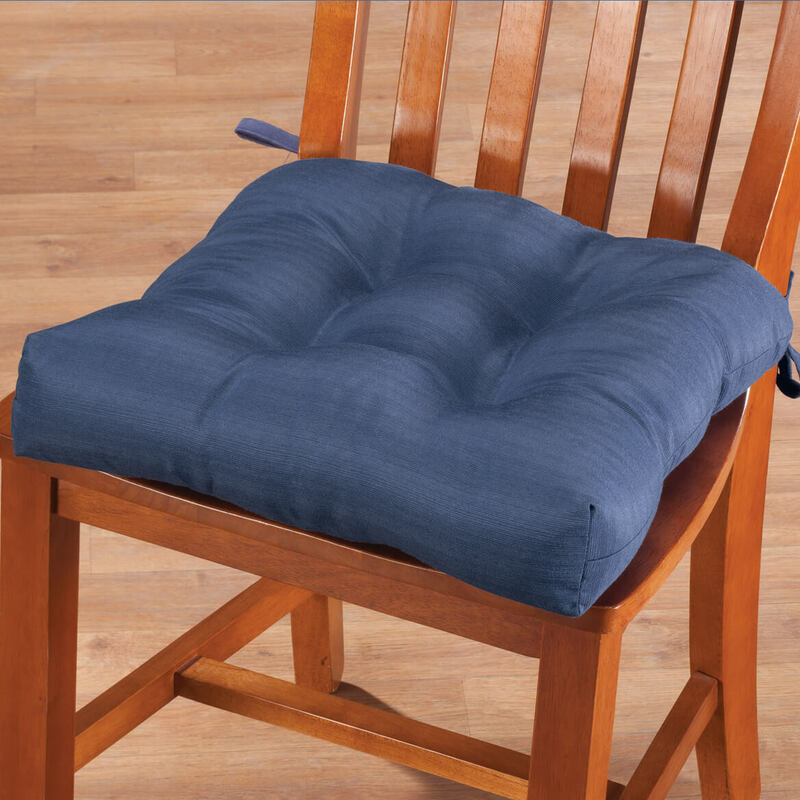 Are tjhere tie backs on these cushions? BEST ANSWER: Yes there are tie backs on these cushions. 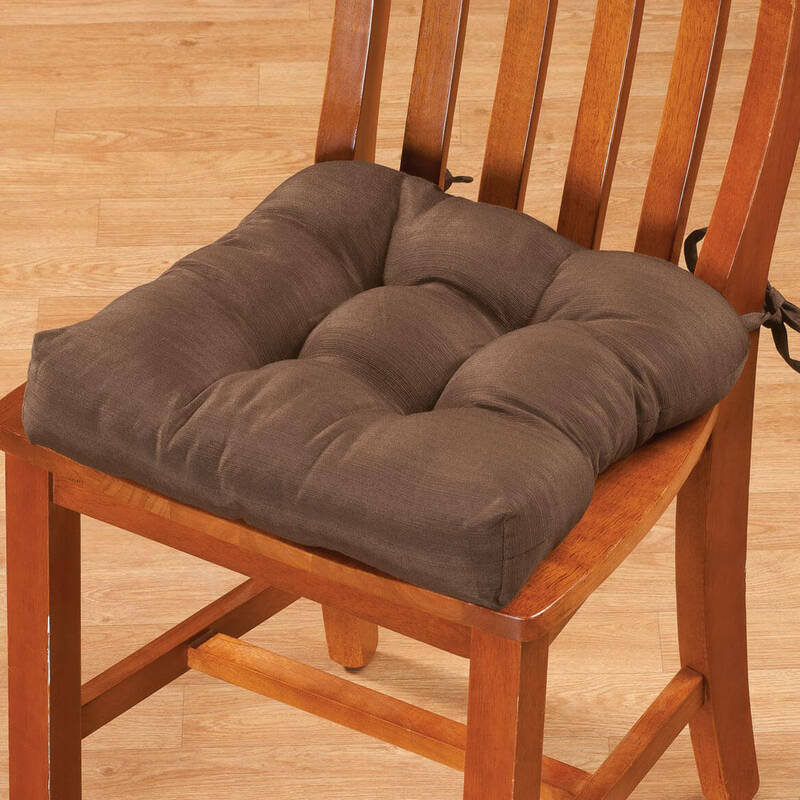 What are the sizes of the chair pad ? BEST ANSWER: They are 16 x 6 x 3.5 inches. 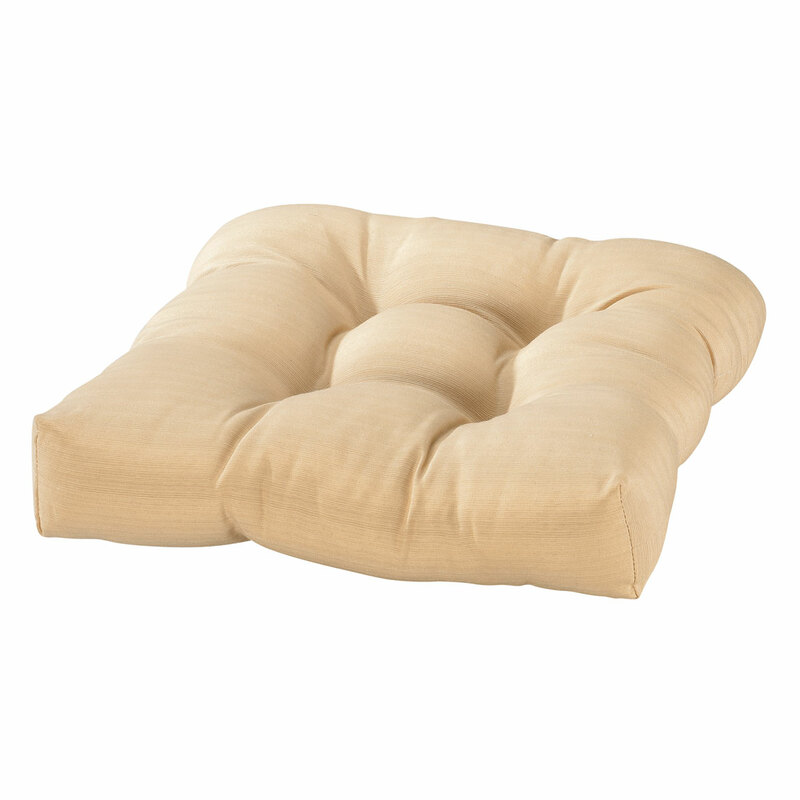 They are very nice cushions and very comfortable. I am very happy with my purchase. Thank you for your question. The pad is 16". We hope this information will be of help to you. BEST ANSWER: Thank you for your question. It is 16" sq. We hope this information will be of help to you.